That rainbow chalice is sick! Really looking forward to seeing what it looks like when it grows up into an adult rainbow chalice. Very nice. The doser is definitely going to come in handy once everything starts growing. Any idea what two part you are going to use? Yea I can't wait to get it set up. Right now I'm manually dosing 5.5ml of ESV Bionic every 2 days. I will probably stick with the ESV for the doser as well, still have about 300ml left. After that I may switch the ALK part to soda ash from BRS. Someone suggested it because it gives you more of a PH boost. Do most of the chalice types encrust or form more of a plate shape? 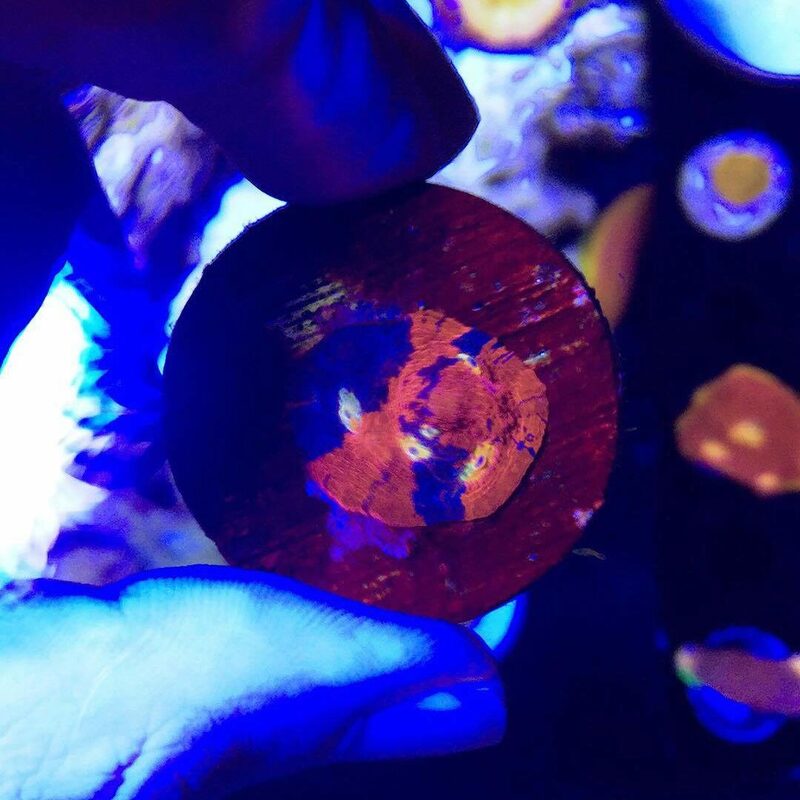 I’ve only had a Hollywood stunner and it always grew upward, forming a plate/bowl shape. i just got a pink eyed chalice and I’m trying to decide the best placement for it to ensure ample room for growth and playing nice with others. Im not really sure to be honest. I think it depends on the type of chalice and how it grows. Most of the chalices I have tend to encrust though. I would just google some images and see if you can find a larger colony of the chalice you have and see how it is growing. Got the 1Link cable in today for the Neptune DOS and Installed everything in my stand. Was a little tricky trying to get all the air bubbles out but finally got it figured out, calibrated and programed. 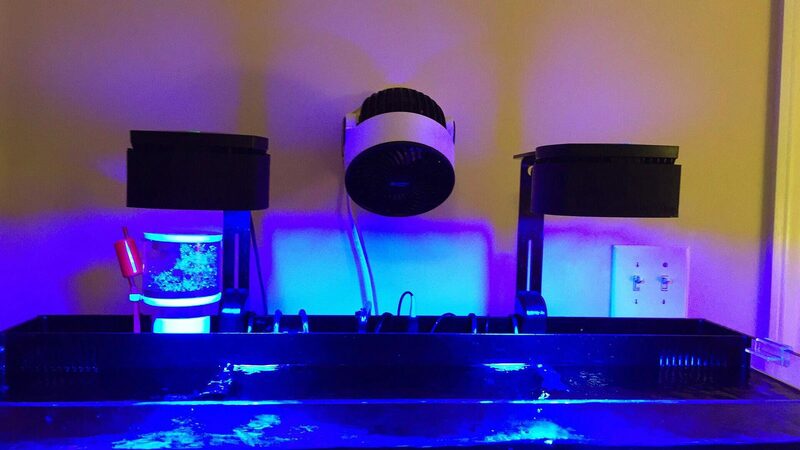 I want to keep my ALK at 9 but am using RedSea Coral Pro salt for water changes. Programed it to dose ALK at night and CAL during the day. I also programed the DOS to turn off on Saturday(the day I do the water change) so the bump in ALK will almost even out. Once this salt bucket is gone I'm going to switch to Fritz and match my ALK to the salt level. Has anyone used Fritz RPM salt? If so how do you like it? 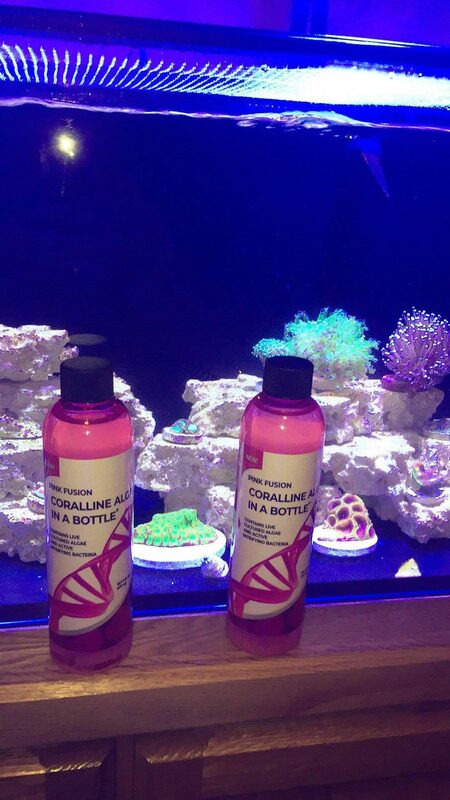 Got a couple bottles of Pink Fusion coralline algae in a bottle by ArcReef. Interested in seeing the results. 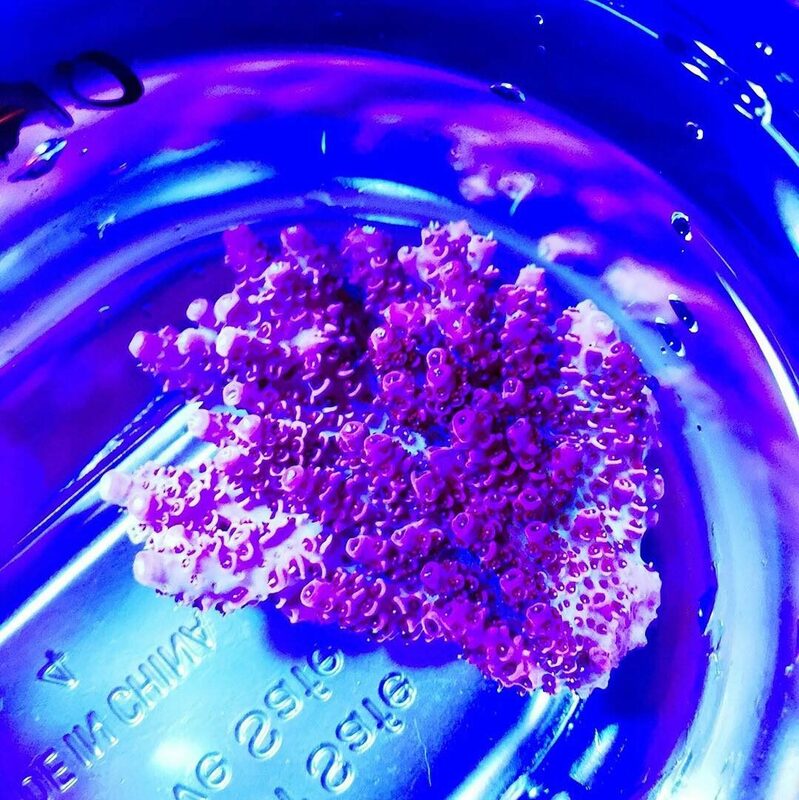 I all ready have a little bit of purple coralline growing growing on the back wall so figured id try the pink. Has anyone used the Pink Fusion or Purple Helix? So my sixline wrasse has devolved popeye in one of his eyes about a week and a half ago. It is bulged out and cloudy. I googled it and they say it can come from a bacterial infection or an injury. I am leaning towards an injury, not sure if he just ran into a rock or he got attacked by my Midas blenny. The blenny likes to chase him rarely. I don't have a quarantine set up to treat for the bacterial infection so im just going to let him ride it out and hope he recovers. He is acting perfectly healthy but the eye is just bulging. I have been having problems with my Nitrate and Phosphate. Both were reading zero and I couldn't get them up with overfeeding. I decided to cut my fuge light to 6 hours from 12. When I did this I only got a raise in phosphate. So then I cut it to 2 hours and just got a further raise in phosphate, algae is starting to grow. I am at a loss and think I am just going to go back to 12 hours and dose nitrates. I do have a ridicules amount of marine pure spheres in the back. Do you think its worth removing some? I would pull out some of the marine pure. Between a fuge and marine pure, the tank being relatively new, you may be exporting too much. A mostly lps tank should be able to handle some nitrates and phosphates. Just be careful if your phosphates are going up and your nitrate is truly zero. From my understanding that is when dinos can creep in....ie when phosphates are greater than nitrates. Nitrate dosing could work, but I would just eliminate some of the export measures as opposed to dosing nitrates. At some point the tank will stabilize. 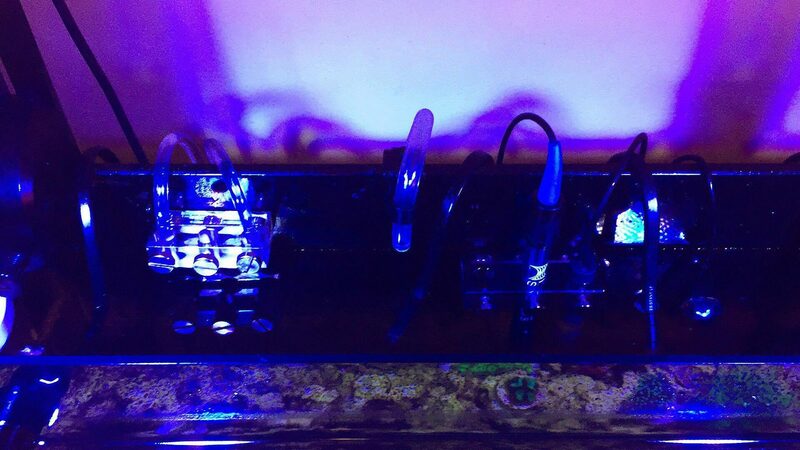 When I first started my tank I was over skimming, running too much carbon and gfo and nearly lost some corals because of it. Now I don't run gfo, add a little carbon and dry skim. Everything is doing much better. Thanks for the advice. Defiantly don't want dinos, I set the fuge back to 12 hours so that should take the phosphates back down. Any hard in having nitrates but 0 phosphates? I did order the nitrates to dose but maybe ill wait a bit like you said. I'll try to remove 1/3 of the marine pure and see what happens. Also I have been skimming pretty wet, think I will tune it to run a little dryer. The end goal should be for your nitrates to be around 3-5 ppm and have some phosphate. My tank has seemed to settle in around 7 ppm nitrate and .03/.04 phosphate and it's all SPS. You also don't want your phosphates to be truly zero. 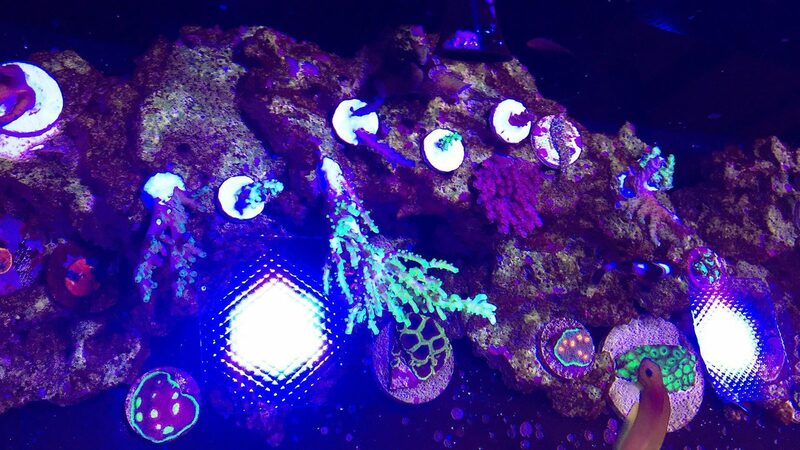 Corals use phosphate, so if you notice any pailing or die off, double check your phosphates to make sure they aren't zero. 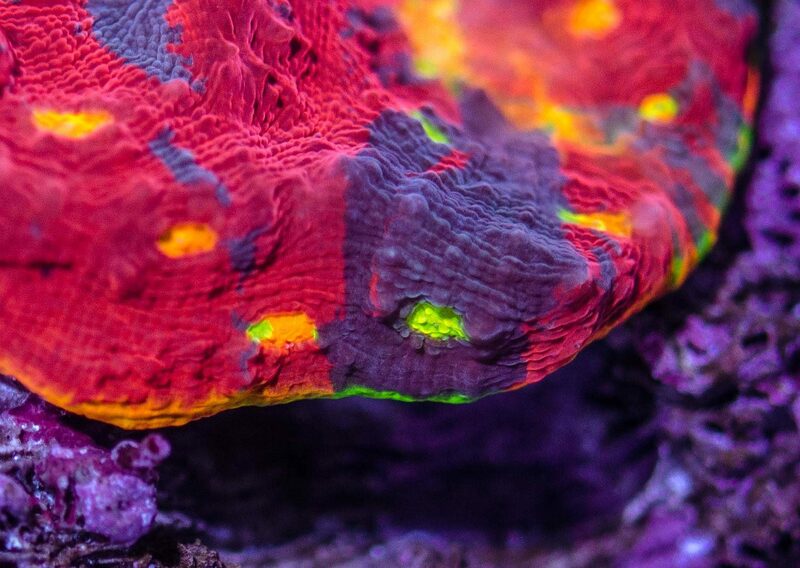 If your phosphates remain at zero for a significant period of time, your corals will starve. If you are like me, you put all kinds of measures in place when you started the tank to make sure you didn't get nuisance algae. 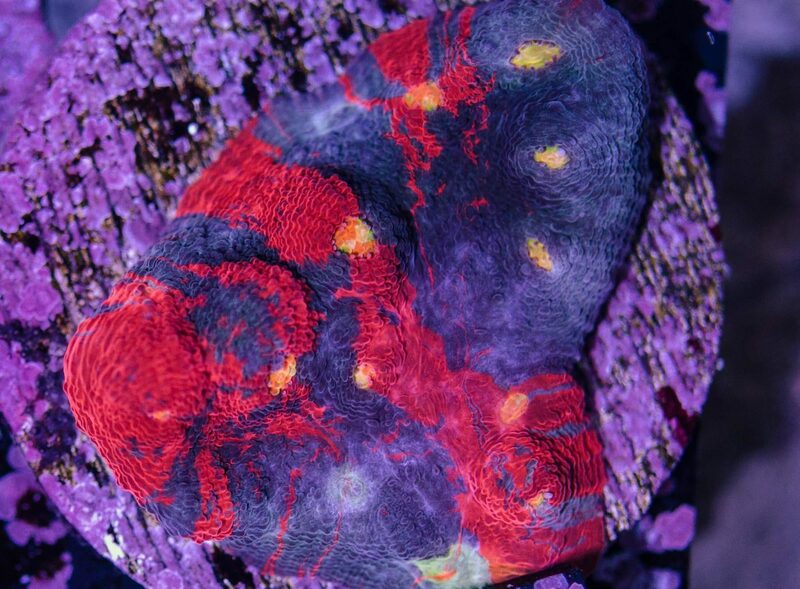 The problem is between skimming, fuges, marine pure, gfo, carbon, filter floss, water changes and all of the other export options that are available, we tend to over do it and strip the tank and the corals suffer. Maybe not immediately, but they do. Trying to find the import/export balance is tricky, but once you do it's great. Your tank is awesome by the way. Looking forward to seeing it fill in. Not a whole lot to report. My sixline wrasse's eye is looking 10x better and is pretty much healed. Still trying to figure out my nutrient balance. I am having a hard time but ill eventually figure it out. 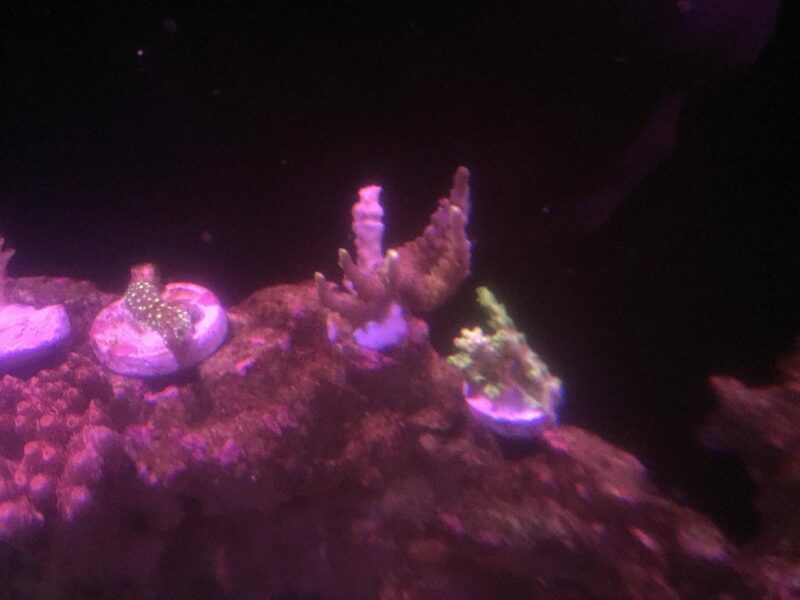 Went to a local frag swap today and picked up a new sps frag. Hopefully it will do well, only have one other sps. The central air conditioner went out and the house has gotten hot being in North Carolina. 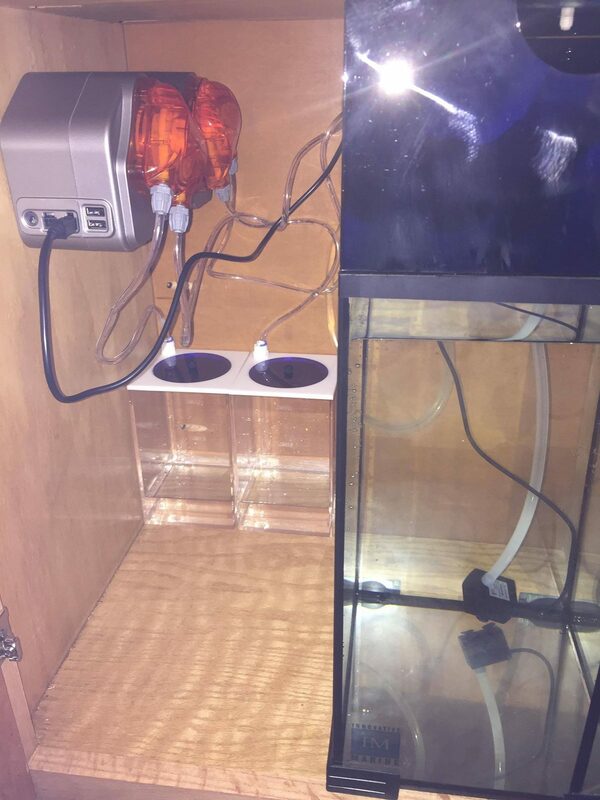 My tank got up to 82 degrees. While I know that's fine I wanted to air on the side of caution and get a fan. I found one at walmart that mounts to the wall. I really like the looks of it and it had no problem lowering the tank a few degrees. I have the fan hooked up to my apex so it automatically kicks on when it gets too hot. I love red planets. From everything I've read and experience with mine they can tolerate high light levels. If in high light they will be all red with pinkish tips. If under a bit lower lighting they will develop a green base. Keep that alk stable and you should be good to go. Everything is going well, I finally have got some nitrate and phosphate readings. I think I have found a balance. I cut my fuge to 6 hours and have been dosing NeoNitro by Brightwell. I hope I get the nitrates to stabilize and won't have to continue dosing. 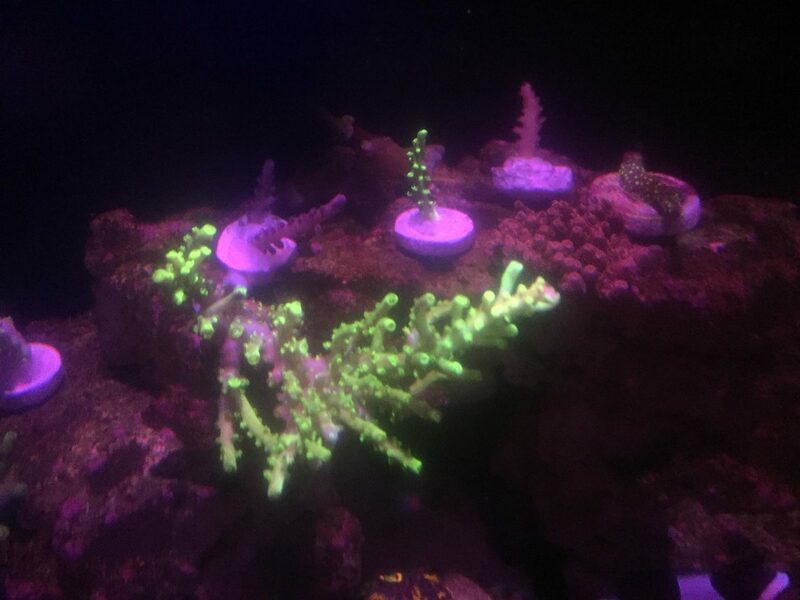 Also picked up a bunch of acro frags from a local hobbyist. Sorry for the crappy pic. What acros did you end up getting? You'll definitely need to keep a close eye on alkalinity and calcium once those start growing. Not really sure lol. The guy I got them from didn't know any of the names. A few of them are colorful and others need to color up. AlK and Cal stop dropping quick huh? I guess ill test every two days and see how it goes. Really glad I got the Neptune DOS. Here are a few more pics. Not really that much better though. 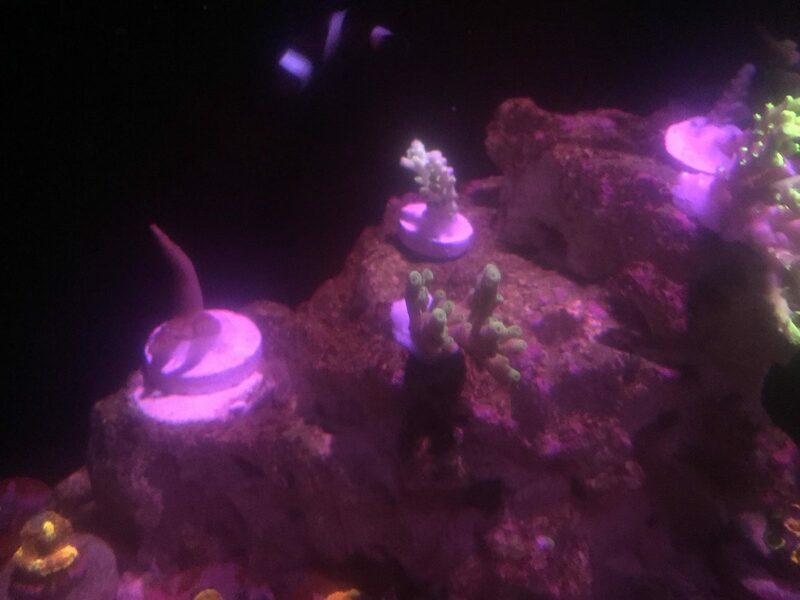 Pretty sure they are all acropora I'm a noob with SPS. 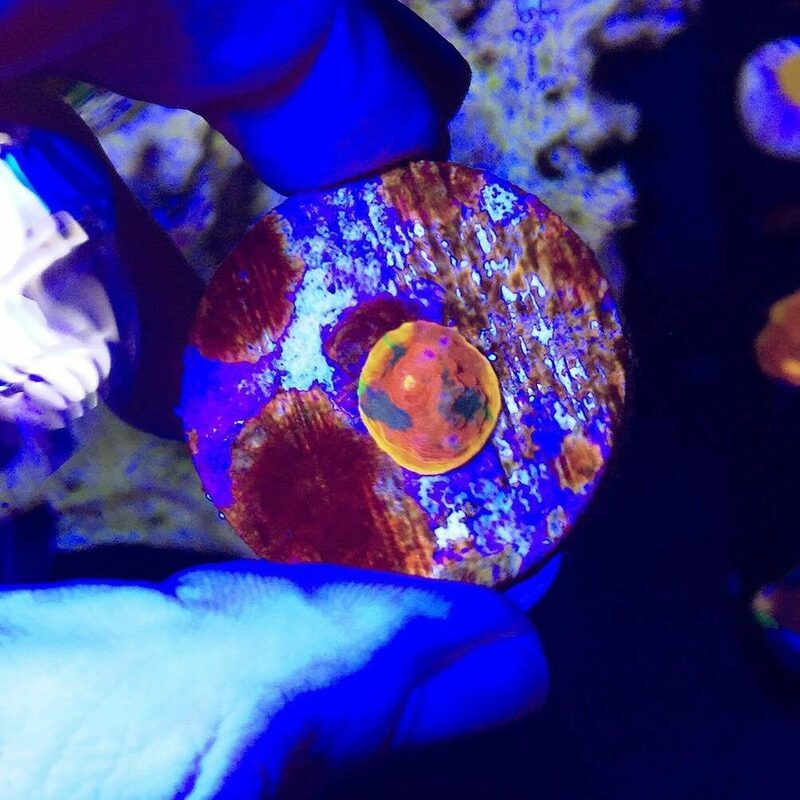 Very cool, SPS are addicting in my opinion. The DOS will definitely help keep levels stable. 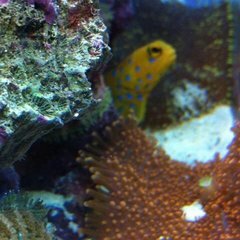 I find that my tank's alk and calcium usage fluctuates, which requires me to test calcium about once a week and alkalinity every couple of days. I hope they all do well for you.